At BeckerTime, we appreciate that buying a watch is a personal experience. The sheer number of types and styles available makes this decision a very subjective one. When you’re considering buying a Rolex, that decision becomes even more difficult. We have worked hard to build a reputation based on trust and personal service. We take the time to get to know you, and what you like. It’s an essential part of choosing a new watch, and the core of what we do. Matching a watch to an owner can take hours, or seconds. 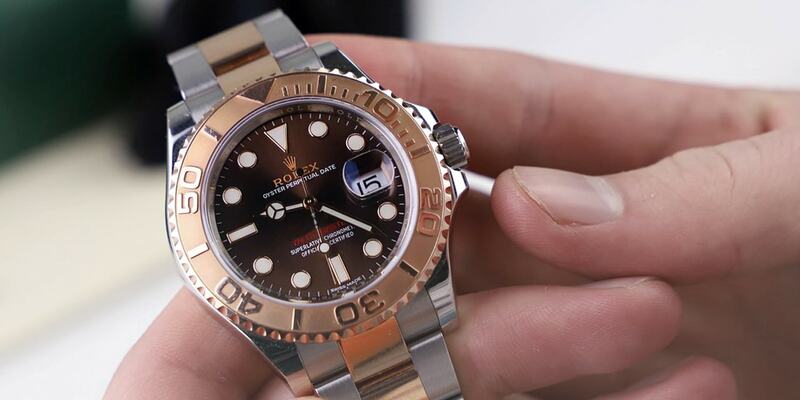 Many rolex owners know instinctively when they see the right watch for them. Others need to browse for a couple of hours to choose the right one. Either way, the service you receive at BeckerTime will be second to none, much like the watches we sell! If you have any questions regarding Rolex watches, or anything we stock, please don’t hesitate to contact us. Our professional team are here to help. Our extensive range of preowned Rolex covers almost everything available. If we don’t have what you’re looking for, just ask, we have access to hundreds of quality used Rolex and contacts throughout the jewelry industry. We’re confident we could find you exactly what you’re looking for. At BeckerTime, we pride ourselves in going above and beyond what you would expect from a watch specialist. Combined with competitive, realistic prices, we feel we are the very best in luxury retailing. Why not try us and see for yourself? If you have had a positive experience with BeckerTime, leave a comment and let us know!